In a private meeting with Mister C, the above photograph was taken by our waitress at the Le Germaine Hotel lounge, located near Toronto's Air Canada Centre. 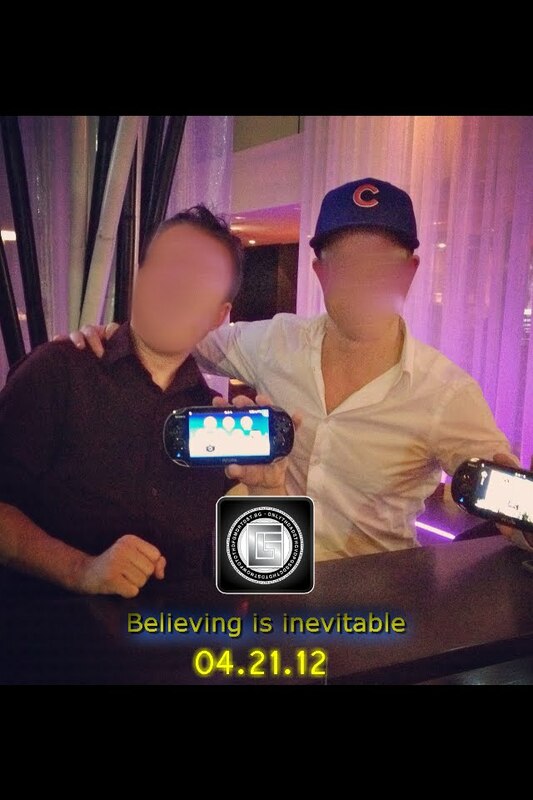 Of course, to protect his identity, when the photo was emailed to me, Mister C's face was blurred out. As a joke, I smudged my face as well. During our conversation, Mister C tipped me off that something may happen next month on April 21. We're just over a month away, I wonder what it could be?